Mamta, a 51 year old woman believes in staying fit and active all the time. 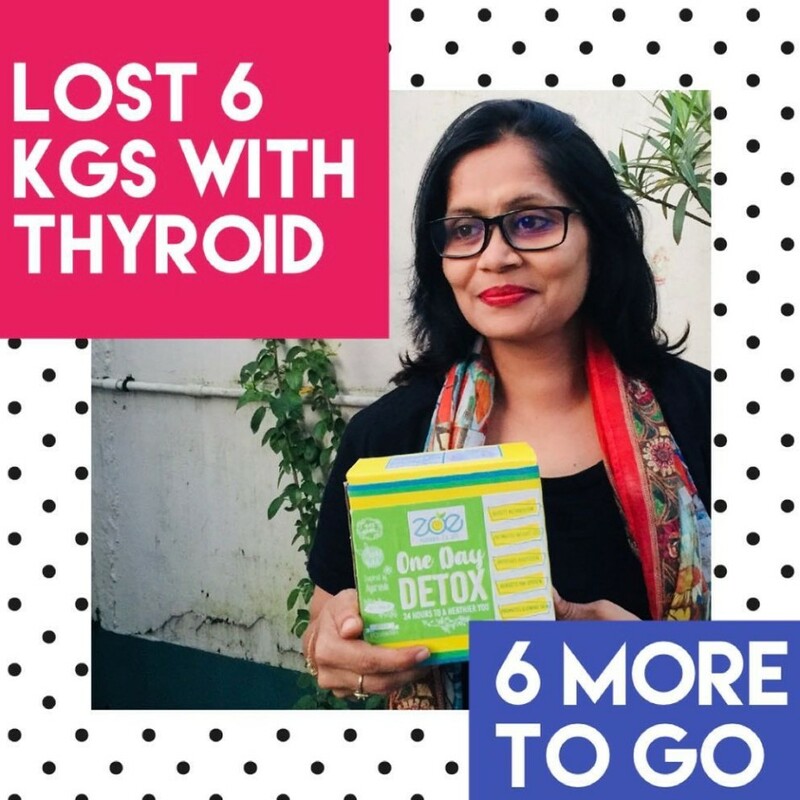 Even though she suffers from thyroid, that does not deter her from her goals. Before being introduced to Zoe’s One Month Detox, she had to toil a lot and was almost on the verge of giving up. But now she has found an effective way to lose weight fast. “A lot of people who suffer from Thyroid get demotivated very easily in their quest for losing weight. They think that no matter what they do, their body is bound to gain weight and nothing can be done about it. Even I had started to think like that. Then one day I came across Zoe’s ad on facebook and thought of giving their One Day Detox a try. I was amazed at the results that I got at the first use. I continued the detox for a month and lost 6 kgs during that period. I have never felt so happy and confident about myself ever. I plan to continue using Zoe until I lose 6 more kgs. I recommend Zoe’s Detox to all those who want to lose weight fast. What did Mamta order ? Mamta went for our One Month Detox plan and followed the diet chart given by us religiously. Just like Mamta was able to lose with the help of a little bit of dedication and commitment, you will also be able to do it. Call us on 9205534967 to know more or visit our website to place your order and begin your weight loss journey.